In the beginning Philadelphia was a river town. William’s Penn’s plan stretched from river to river, but the population clung to the shores of the Delaware and the docks and ships that provided much of its livelihood. Aside from a few farms and country estates, the land to the south and west remained a wilderness of fields and marshes. Evergreens was one of the largest of the country estates, located at what is now the intersection of South Street, 23rd Street, and Gray’s Ferry Avenue. Evergreens was built by Israel Pemberton, a successful merchant and a leader of the powerful Quaker community. 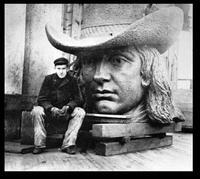 By the middle of the 19th century, Philadelphia’s population was booming and began to spread outward. In 1848, the city created two districts south of South Street: Southwark, east of Broad and Moyamensing, west of Broad and south to Tasker. 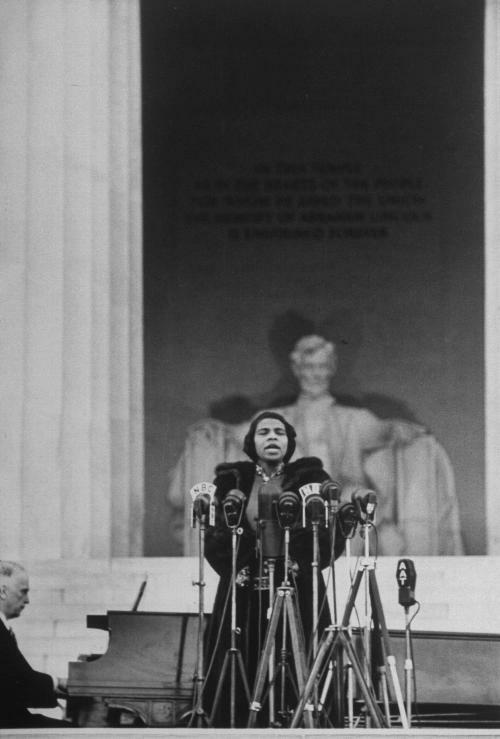 Moyamensing became home to many famous Philadelphians, including Marian Anderson, Alexander Milne Calder, Julian Abele, and Charles Albert Tindley. Moyamensing (a Lenape word meaning “place of pigeon droppings” or “place of judgement”) was still largely uninhabited but Gray’s Ferry and Gray’s Ferry Avenue had become the major route to Philadelphia from the south. The ferry, established in the 1670s, had been run by the Gray family since 1750 and the road followed the path of an old Lenape Indian track. Marian Anderson was born at 1833 Webster Street in 1897 and later purchased 762 Martin Street, which she owned until 1993. She learned to sing in the choir of Union Baptist Church, then located at 12th and Bainbridge. 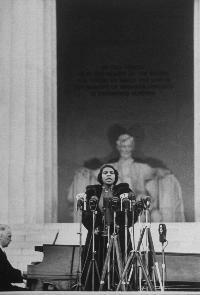 Anderson became the first African American to perform with the New York Metropolitan Opera and is best remembered for her 1939 performance at the Lincoln Memorial. Moyamensing was also home to two major military institutions. The Schuylkill Arsenal opened in 1800 and housed provisions, clothing, and arms for military expeditions, including the Lewis and Clark Expedition in 1803. 1833 saw the completion of the Naval Asylum, a hospital and rest home for navy personnel and the first site of the Naval Academy. 2020 Bainbridge was the home of Alexander Milne Calder from 1863 to 1895. 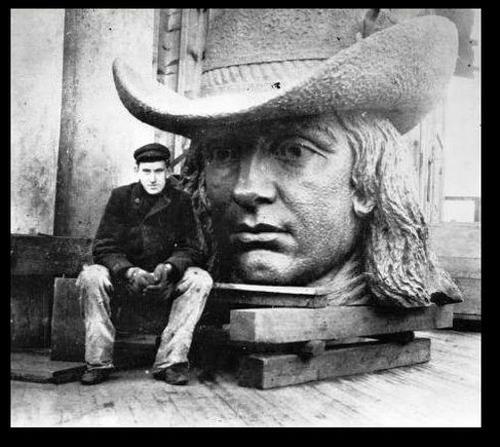 It was during this period that Calder sculpted 250 figures for City Hall, including the statue of William Penn on the top of the building. It was also the birth place of his son, Alexander Stirling Calder, creator of Swann Fountain at Logan Square, as well as major works throughout the US. By the late 1830s, the Pennsylvania, Wilmington, and Baltimore Railroads operated several trains a day from Baltimore across the Gray’s Ferry Bridge and down Washington Avenue to the depot at Broad Street. This access to raw materials and southern markets encouraged the building of factories and warehouses near the railroad tracks and created a demand for workers. Workers created a demand for housing, shops, services, churches, and schools as the community began to grow. First Irish immigrants settled west of Gray’s Ferry Avenue, working on the Schuylkill docks and later in the building trades. They were followed by freed slaves after the Civil War and free blacks expanding west from their established community along South Street. 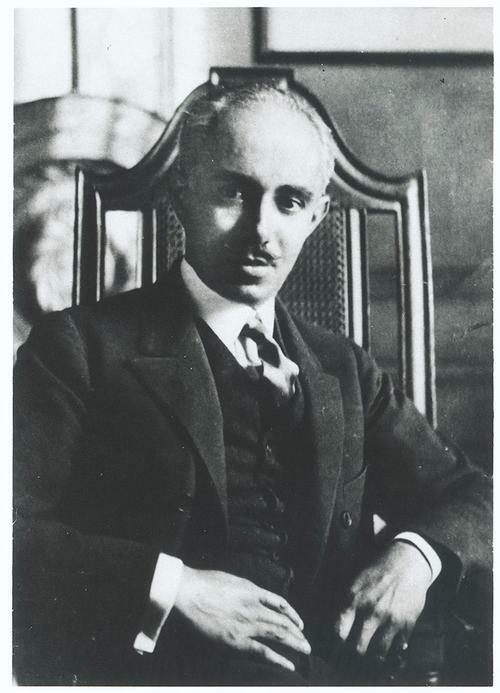 Julian Abele, one of Philadelphia’s premier architects, purchased the rowhouse at 1515 Christian Street in 1916 and lived there until his death in 1950. Abele was the first African-American graduate of the University of Pennsylvania’s School of Architecture (now the Graduate School of Fine Arts). He spent his entire career with the Horace Trumbauer firm, becoming its chief designer after Trumbauer’s death. Abele designed famous buildings throughout the US, including the Free Library of Philadelphia, the Philadelphia Museum of Art, and the Widener Library at Harvard University. African Americans flooding north as part of the Great Migration (1916 -1970) found a welcome in Moyamensing. The Armstrong Association (forerunner of the Urban League of Philadelphia) and other charitable groups joined religious congregations to help newcomers find work, housing, and schools. The neighborhood thrived until after WWII military spending wound down and factories closed. Many professionals and highly-paid workers moved to the suburbs. Those who stayed had trouble finding work and redlining caused property values to drop, forcing more to leave the city. One of the most effective leaders in the neighborhood was Charles Albert Tindley, the self-educated son of slaves who transformed the Bainbridge Street Methodist Episcopal Church into one of the largest Methodist Churches in the US. Tindley lived with his family at 1509 Christian Street until his death in 1933. In addition to preaching, he wrote over 60 hymns, including the lyrics that became “We Shall Overcome.” Tindley’s legacy continues at the Tindley Temple United Methodist church at Broad and Fitzwater. Today Moyamensing, convenient to both Center City and University City, is once again attracting new residents and businesses. Rechristened South of South by the real estate community, it has become one of the fastest-growing neighborhoods in Philadelphia.